SK Telecom T1 are in second place in the LCK after a blistering performance against fourth-place Sandbox Gaming earlier today. The win might not have been possible if it wasn’t for a star-studded performance by mid lane legend and three-time world champion Lee “Faker” Sang-hyeok. His performance on Lissandra in this series, as well as throughout the season, has been pivotal to SKT’s success. After SKT’s win over Sandbox Gaming today, Riot Korea talked with Faker and ADC Park “Teddy” Jin-seong” about the victory and the mid laner’s impressive winrate on Lissandra. 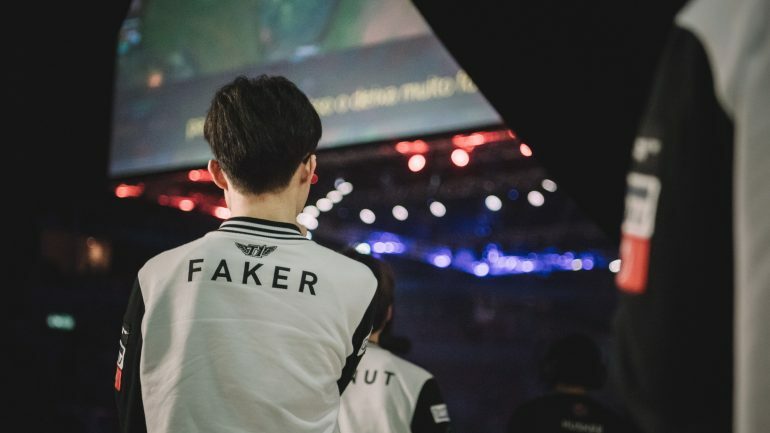 Faker is 8-1 on Lissandra throughout the Spring Split, but he doesn’t think that she’s fun to play and instead plays the champion to cover for his teammates when they “are not playing well,” according to a translation by Korizon. When asked why he thinks his winrate on the champion is so high, however, Faker simply said, “Because I’m Good,” which caused the Korean crowd to erupt with cheers. SKT’s hopes of securing first place, and even attempting to overtake Griffin, continue on Thursday, March 28 when they face Jin Air Green Wings.